The cause of the crash was not immediately released. 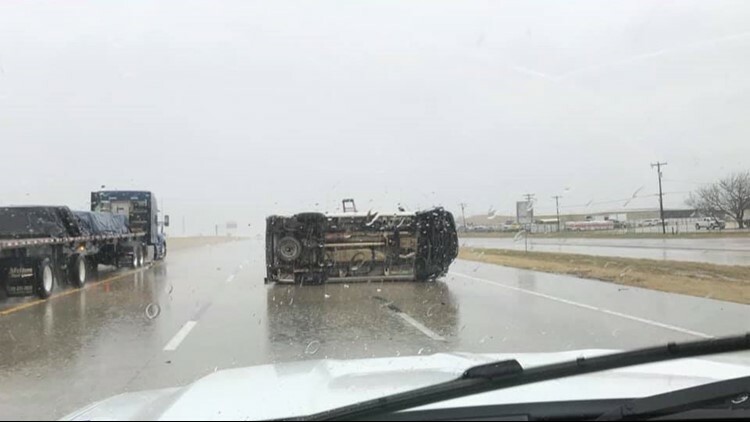 LORENA, Texas — A single-vehicle rollover crash involving a van closed several lanes of I-35 near Lorena Wednesday. Police said a van overturned south of Callan Ranch Road blocking the right and center lanes. Officials said the lanes would be closed for at least an hour or two. Commuters should use caution in the area and expect delays. 📱Never miss a traffic alert, download the KCENTV app now!